Have you booked a venue yet? The reason for this practical: since Party Magic will be decorating, we need to know what we will be decorating. Is it a ballroom? A clubhouse? Does it have a high ceiling? Is the shape of the venue circular or rectangular, or irregular? Now this is the reason why in my blog I have put special emphasis on venues. Because venues are so important, I have also made a list of what I think are the best venues for children’s parties. But what if you have a tight budget? Say, your husband has given you a budget of P20,000 to work with for the venue rental fee? What then? In this time of rising prices of basic commodities and goods, everyone is practically hard pressed in finding good venues at affordable rates. If you had asked me to come up with this list say 5 years ago, I would have easily given you 40 venues, or even more, without even breaking a sweat. How times have changed! So here you go, I’m listing down below 20 possible venues you can consider that will cost you P20,000 in rental fees, or even less. Enjoy! 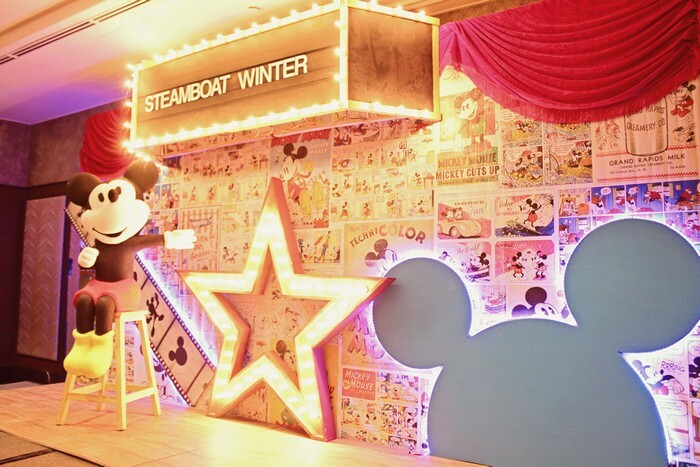 To get an idea of how the venue looks like, check out Tiffany’s Dainty Carnival Themed Party. Don’t you just love this scene! I know I do. This is the type of image that I’d like to go back to again and again, simply because it’s such a visual feast. Mickey just loves showing off, and this is exactly what he’s doing now: unveiling the curtain to today’s show: Winter’s Birthday Party. If you’ve read my blog post about Bash and Ethan: A Vintage Mickey Affair, you would have seen Party Magic’s first jab at this awesome theme. The main idea is to veer away from the usual, cliche-ish (is that a word?) 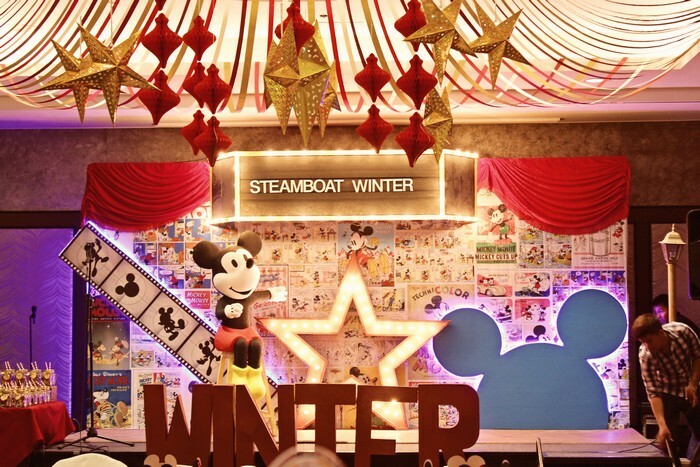 interpretation of a Mickey Mouse party, and put a “styling” spin into it. In order to do that, you will need to latch on to a certain concept for Mickey. For Bash and Ethan, it was “vintage” and the idea of the Town Square Theater. Combine that with Mickey and you arrive at this amazing party. Lexie Venice – A Grand Venetian Masquerade! Ever get tired of the usual birthday party themes? Running out of birthday party ideas? Well here’s a theme that you can try out: A Venetian Masquerade Ball! Now let us enter the golden gate and take a look at this spectacle! It turns out that there was a special reason for this theme, and it lies in the celebrant’s name: “Lexie Venice”! Venice apparently made an indelible mark on my client, Lynn’s memory, and she loved the place so much that she decided to include it in her daughter’s name! The venue was in Blue Leaf Filipinas, which I recommended as one of the Top 10 Kiddie Party Venues in Metro Manila, and with good reason: it has a high ceiling, well designed interiors, a great outdoor courtyard, and ample parking space. 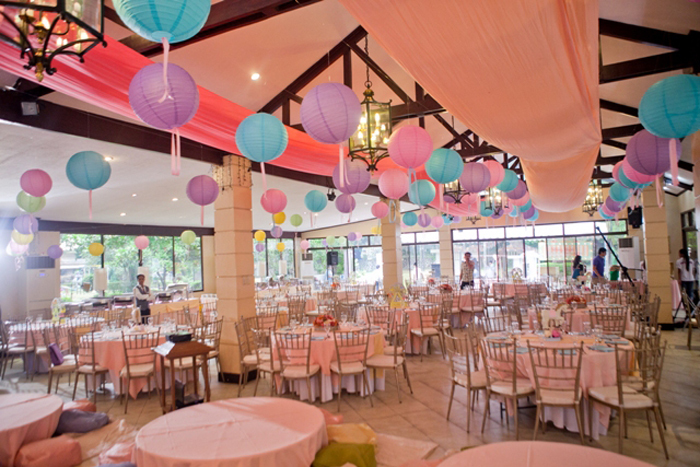 This is a favorite venue not only for children’s parties but for debuts and weddings as well.